Waterless urinals are a green technology that helps business owners save money. Not only do they benefit from reduced water usage, but also lower maintenance costs, improved hygiene, and easier installation. 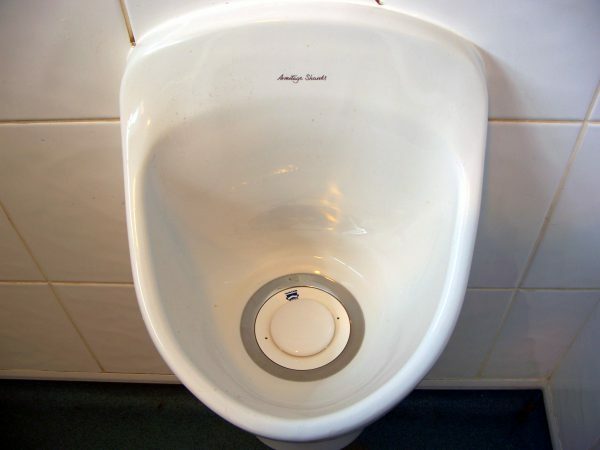 Like anything that sees consistent use, waterless urinals require cleaning and maintenance. The upkeep of traditional flush urinals can be expensive, and maintenance in certain instances can take hours. Waterless urinals require less maintenance since there are no flushing mechanisms, cisterns, or water supply pipes. There is no chance of a flood should a pipe freeze or break and very little chance of a pipe blockage. So how do waterless urinals work? Waterless urinals divert urine through a one-way valve into a “trap.” This trap contains a chemical that is less dense than urine. When the urine flows through this trap, the liquid displaces the urine, forcing it lower into the trap. This liquid not only forces the urine down and away from the urinal, it seals odor by preventing odor and urine from seeping back up into the urinal. As this trap fills up, it diverts urine to a drain connected to a sewer. Over time, the liquid, usually some type of oil or gel, needs to be replaced. When a cartridge wears out or is damaged, a replacement cartridge can be easily installed. Waterless urinals are a good and cost-effective solution for most, but not all, sites. The choice of the waterless urinal is key because while all types of waterless urinals will obviously save the same amount of water, they have different implementation and running costs. This entry was posted in Plumbing and tagged Plumbing, Plumbing Systems, Tips for Plumbers.